Nice work here from Toronto agency Union for Interval House, a centre for abused women and children now in it’s 40th year. ‘Every Second Matters‘ highlights the shocking statistic that every second a woman in Canada becomes a victim of domestic violence. To bring this statistic to life at a more personal level, the web site visitor is prompted to connect the experience to their Facebook profile. 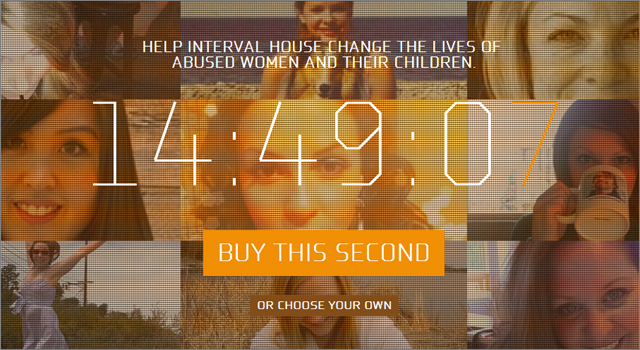 The site is hoping to raise funds to continue their work by having visitors buy up one (and hopefully more) of the 86,400 seconds that make up each day. 30 year-old Brit Lauren Luke has over 400.000 subscribers and over 126 million views of her YouTube channel panacea81. Since 2007, the self-taught makeup artist she has been posting tutorial videos for her viewers on how they recreate various celebrity looks. Ad agency BBH London has partnered with Lauren, producing a powerful video to raise awareness for Refuge, a UK charity dedicated to helping women and children escape domestic violence. The video is very much in the style of Lauren’s regular make-up video, making it all that more shocking when she opens the video apologizing for not being online very much as she’s being having a rough time lately. 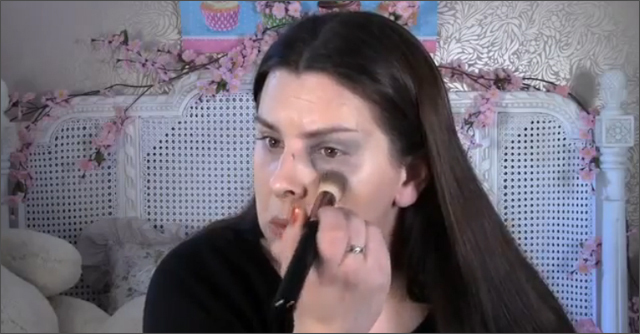 In the tutorial Lauren calmly shows how to cover up the cuts and bruises from domestic violence. The video ends with Lauren quickly shutting off the camera after hearing a door slam, the screen goes black and the message “65% of women who suffer domestic violence keep it hidden, don’t cover it up” appears. The campaign is supported by the Twitter hashtag #dontcoveritup.